A work of art as much as a functional fighter, the Cyclone is an artist's weapon. It's light and nimble, yet its weaponry packs a serious punch. The Cyclone's shields and armor are weaker than most fighters of its class, however. Experienced Cyclone pilots tend to fight in a series of quick passes, avoiding a slug-fest that will undoubtedly leave them crippled even if they should win. To this end, the Cyclones are equipped with a repulsor wave weapon that pushes all nearby ships away - and usually spoiling their aim as well. The Firebolt's armor and shields are second only to the Intrepid. Coupled with a high turn rate, this is a fighter built to "mix it up" in close quarters. It lacks the thrust of many of its opponents ships, however, so the Firebolt pilot must rely upon his superior weaponry and defenses to see him through a dogfight. 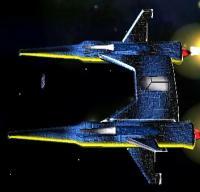 Very few pilots of other fighters are willing to mix it up with a Firebolt for long, however, as their swarming micromissile attack is capable of crippling shields even if they do little damage against an enemy's hull. The Intrepid was designed to be a dual-role personnel carrier and attack ship. It has potent armor and average shields, and its firepower is strong enough to take on armored ships. Its twin engines produce a very high thrust, but they still have trouble accelerating this much mass at rates comparable to other, "pure" fighters. As the last war came to a close, the Intrepid was pressed into service as a second-line fighter. Pilots used the cargo / troop space to store dozens of high-yield seeker mines. So what if the enemy could outmaneuver you if they were busy dodging mines? The Nighthawk is perhaps the most well-rounded fighter to appear in the war. The twin cannons were placed close to the fuselage to make up for their mediocre damage, increasingly the likelihood of both generating hits in the hands of a skilled pilot. 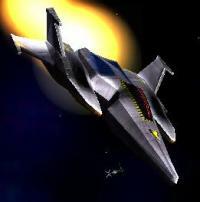 Late-model Nighthawks were equipped with limited Hyperdrive capability - the effects very short range and random, but handy in getting the pilot and ship out of a tight spot. By the time opponents spotted their vanished quarry, the Nighthawk was already closing in on them with recharged system power. This vessel was aging prior to the last war. Its retirement was postponed as it served in an attack and defensive interceptor role. 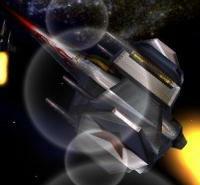 Before the war's end, however, upgrades and overhauls allowed it to hold its own against much newer fighters. 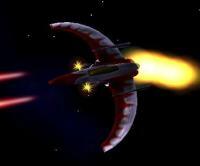 The late-war addition of the 'Vampire' cannon made it feared by opponents throughout the galaxy, as it can literally steal energy from other ships. Pilots learned to keep their distance and use whatever superior maneuverability and thrust they had available to avoid this close-range attack. 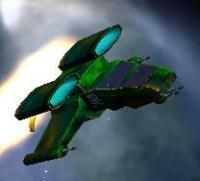 During the war, pilots of the Tempest complained of its light shielding, and the fact that its quad cannons were spaced so far apart that they were difficult to bring to bear against small fighters. In more recent conflicts across the Void Points, however, the Tempest has redeemed itself with its extremely powerful engines and tight turn rates. The shields, still weak, have been upgraded to a superior recharge rate, giving it staying power against all but the most determined assaults. To further the feeling of security in pilots, this ship was recently outfitted with a force field which can be activated for short periods of time. When active, the Tempest is all but invulnerable.